I don't know a kid that doesn't love strawberries, so for this little girl we did a strawberry shortcake smash session with a little shortcake, strawberries and whip cream. 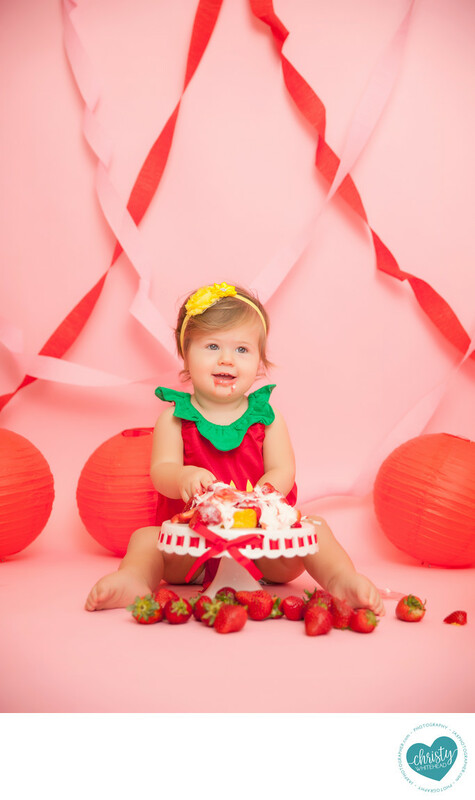 We have this little strawberry outfit in studio that matched perfectly. Tons of mess and little mess was happy to make a mess and chow down for the camera.